Put your images in the spotlight with lightbox posters. 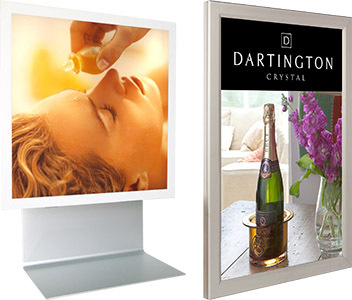 We have a range of backlit posters suitable for lightboxes, from backlit transparency film Duratran printing, to self-cling, and printed acrylic panels. 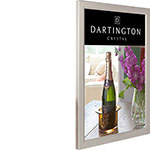 Printed with a double density of ink to deliver a strong vibrant image when back Illuminated in a light box, bringing your light box graphics to life. The cost effective solution for frequently updated lightbox graphics. 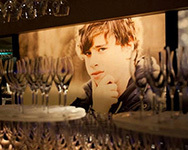 This matte translucent, Duratrans style, polyester film achieves outstanding colour saturation for backlit applications. The ultimate rigid lightbox panel. Translucent (Opal) Acrylic diffuses the light, displaying your image without glare. Printed direct to the face of the acrylic for vivid, long-lasting colour.